*Rock Creek Wellness provides laser treatments that stand at the top of science and medicine, specializing in treatments for facial and skin rejuvenation, sun damaged skin, age spots, and hair removal. Stop wasting money on razors or waxing treatments that can be quite painful. *With our help, hair removal may be achieved quickly, affordably, and effectively than ever before. Our lasers use advanced new technology to treat diverse conditions. *These non-invasive treatments offer desirable and effective results and can be used effectively and safely. *Eliminate unwanted hair and eliminate the need for constant shaving, waxing, or plucking! Discoloration from unprotected sun exposure is often unsightly and can get worse over time. 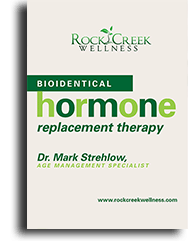 *Hyperpigmentation treatments from Rock Creek Wellness may be able to reverse signs of sun damage and aging.